Happy Monday lovelies! 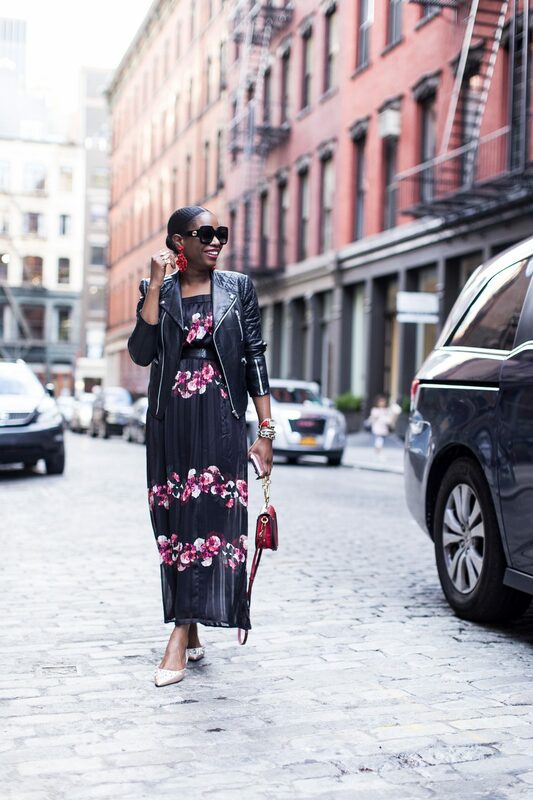 It’s all about the fall floral maxi dress in today’s post. I’m absolutely obsessed with fall floral prints this season, and you should be too. Every major designer has showcased the trend in one form or the other, hence I decided to put my little spin on the print in today’s post. 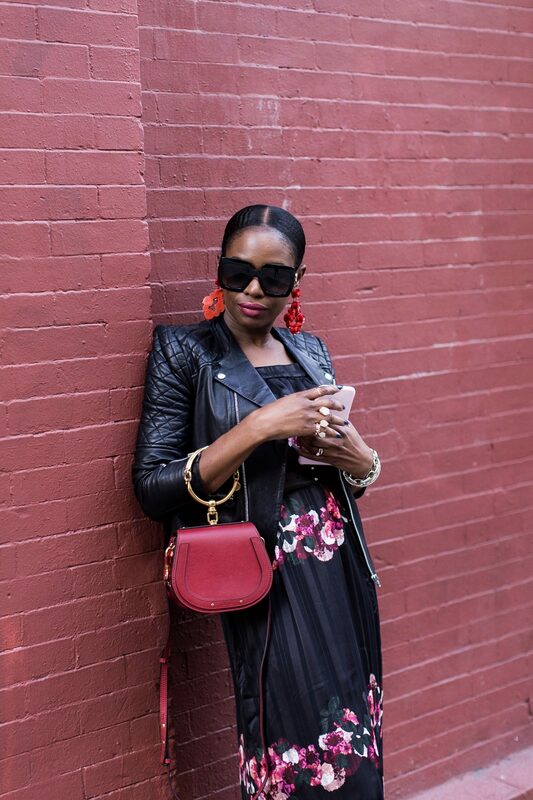 I shot this fabulous outfit on the streets of New York City during fashion week. 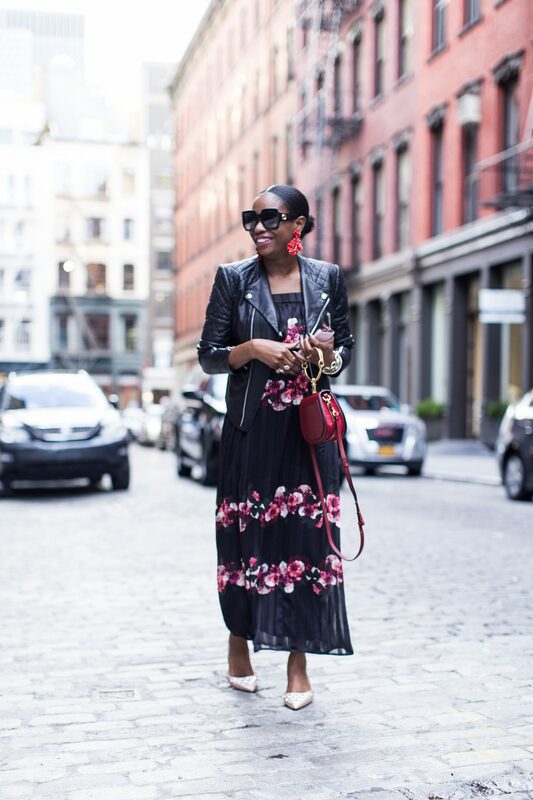 I wanted to give the classic, ultra feminine floral maxi dress a street style edge, hence I introduced the dress to accessories that would make my look edgy and chic. Fashion week is all about creating a stylish twist on the latest trends. 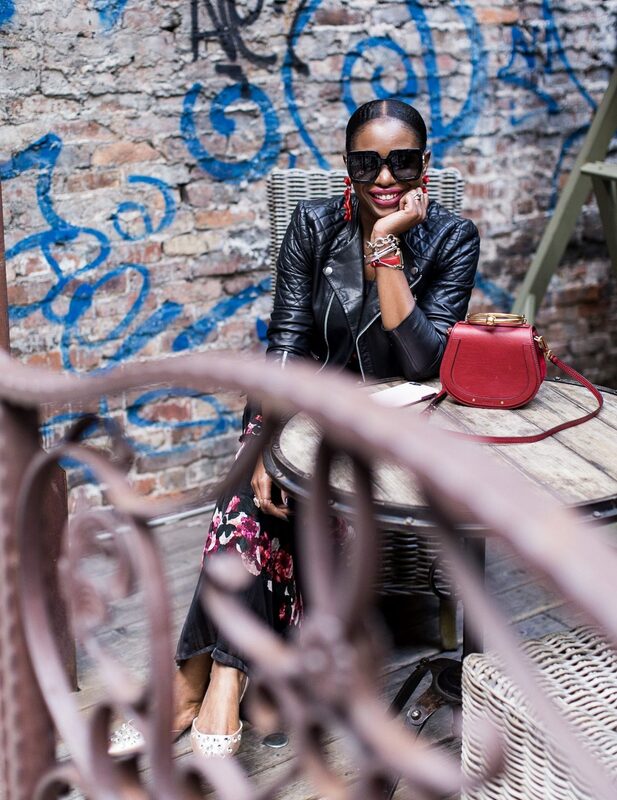 I was able to achieve my stylish-twist by adding a leather biker jacket to the look. A vintage Gucci belt compliments the jacket and cinches my waist-line, making the dress more flattering. I love using color to introduce various accessories to an outfit. The many colors on this dress make it easy to pair it with various colors. I used the red hue located in the floral pattern on the dress to introduce the red bag, and earrings. Lastly my blush flats pair perfectly with the blush flowers also decorating the dress. 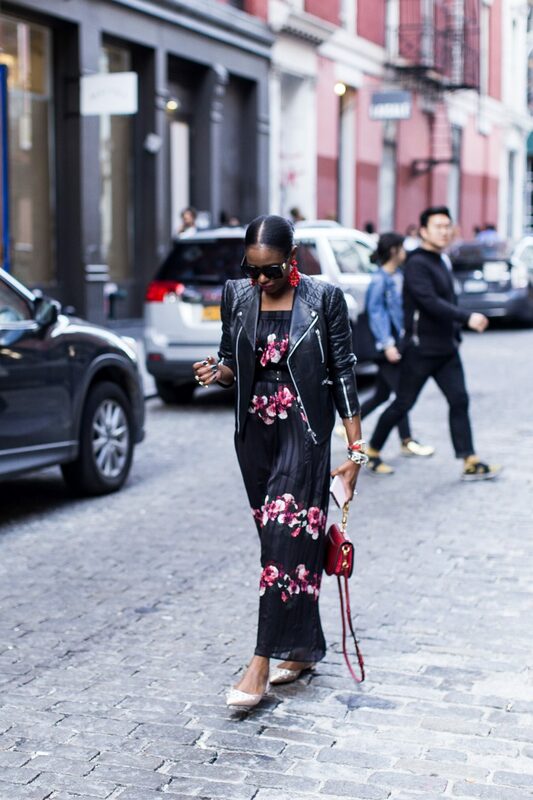 Giving your floral maxi a stylish edge is as easy as adding a biker jacket. 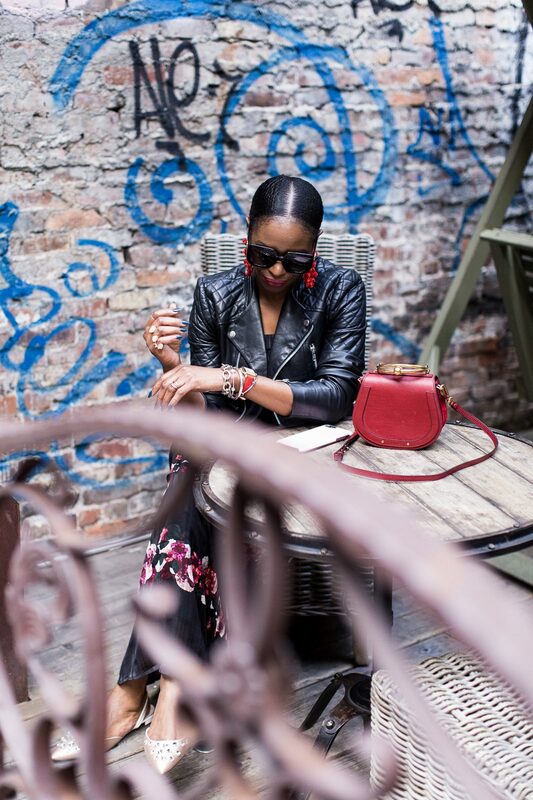 If you don’t have a leather biker jacket, what are you waiting for? 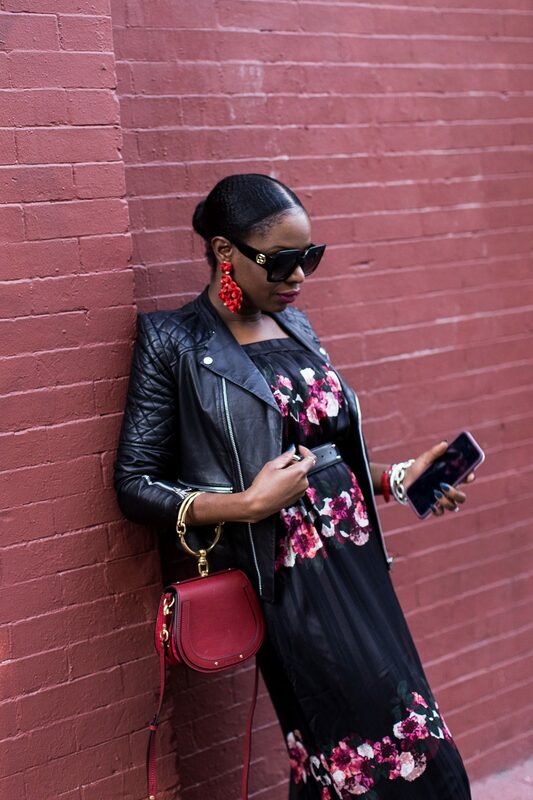 Scroll down to see my top 5 favorite biker jackets to help you give your floral dresses a stylish edge this fall season.